154 pages | 33 B/W Illus. Visualizing Venice presents the ways in which the use of innovative technology can provide new and fascinating stories about places and times within history. 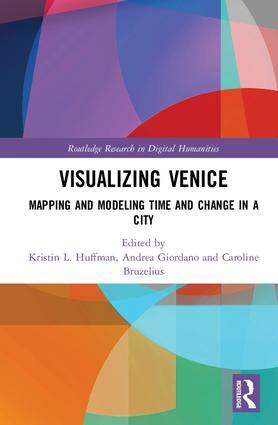 Written by those behind the Visualizing Venice project, this book explores the variety of disciplines and analytical methods generated by technologies such as 3D images and interoperable models, GIS mapping and historical cartography, databases, video animations, and applications for mobile devices and the web. The volume is one of the first collections of essays to integrate the theory and practice of visualization technologies with art, architectural, and urban history. The chapters demonstrate how new methodologies generated by technology can change and inform the way historians think and work, and the potential that such methods have to revolutionize research, teaching, and public-facing communication. With over 30 images to support and illustrate the project’s work, Visualizing Venice is ideal for academics, and postgraduates of digital history, digital humanities, and early modern Italy. Kristin L. Huffman is an Instructor in the Department of Art, Art History, and Visual Studies at Duke University. Andrea Giordano is Professor at the University of Padua and coordinator of the Visualizing Venice’s 3D modeling team. Caroline Bruzelius is the A.M. Cogan Professor of Art and Art History and a founder the Wired! Lab at Duke University and of Visualizing Venice.